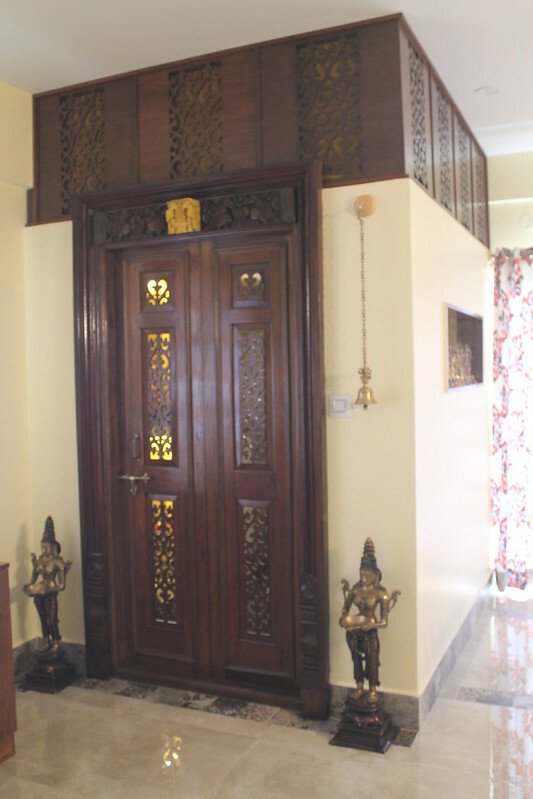 This post is a compilation of 10 pooja room designs from apartments to homes from an interior designer in Bangalore, designed according to the principles of Vastu Shastra. 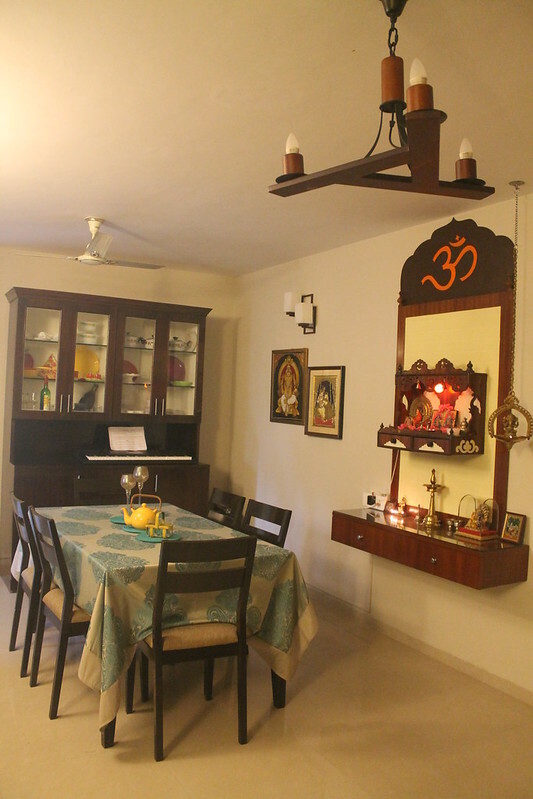 When designing the interiors of a new home, two spaces that take up due time and consideration are the pooja room /mandir and the kitchen. 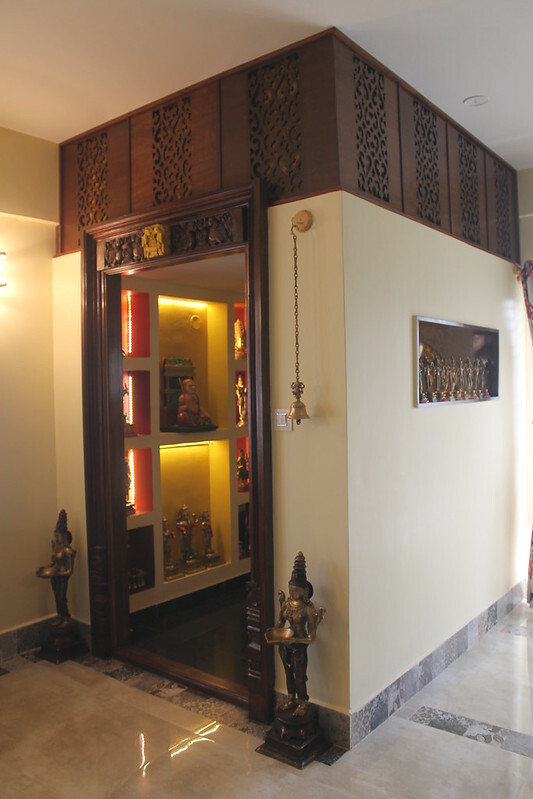 These often come with the constraints of space and spatial orientation (Vastu Shastra). 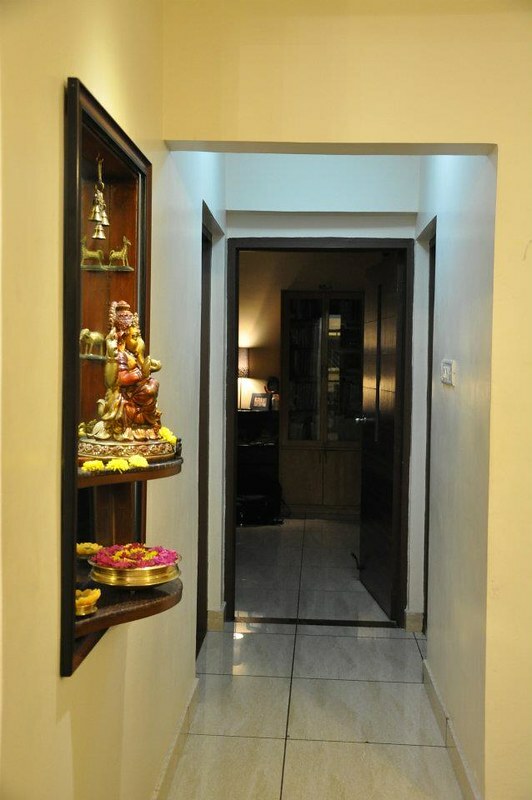 Pooja spaces are an essential part of a home in today’s apartment plans. 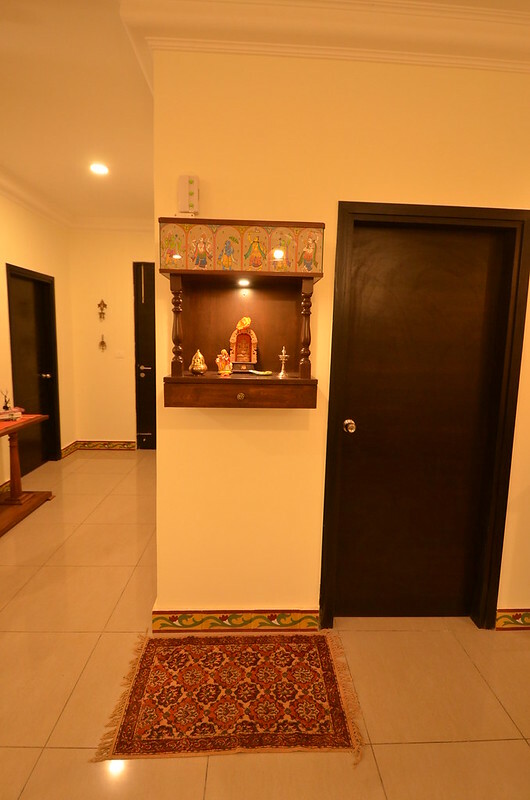 No separate provisions are made for a pooja space. We need to be innovative about where and how to fit in this unit, also keeping the budget in mind. 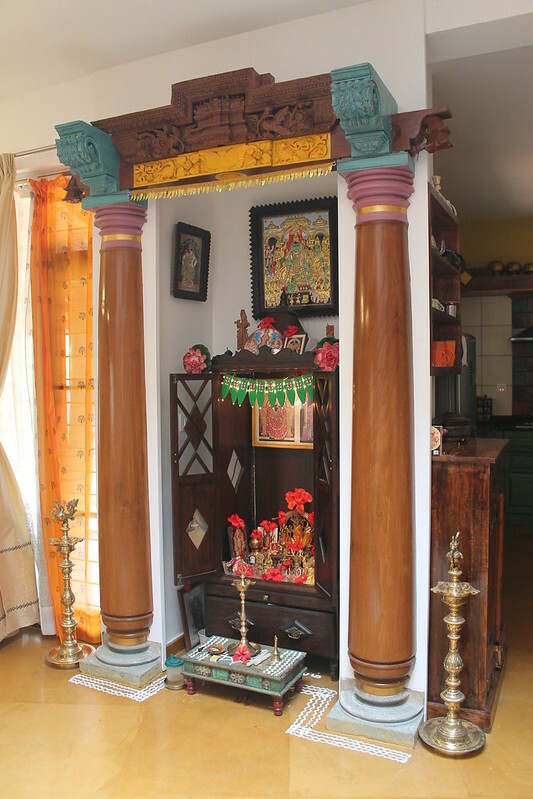 If the floor plans are larger, a pooja room can be accommodated. It can be as small as 3’ x 3’ and go up to 6’ x 5’. Preferred floor is vitrified tiles or granite as these are stain resistant. 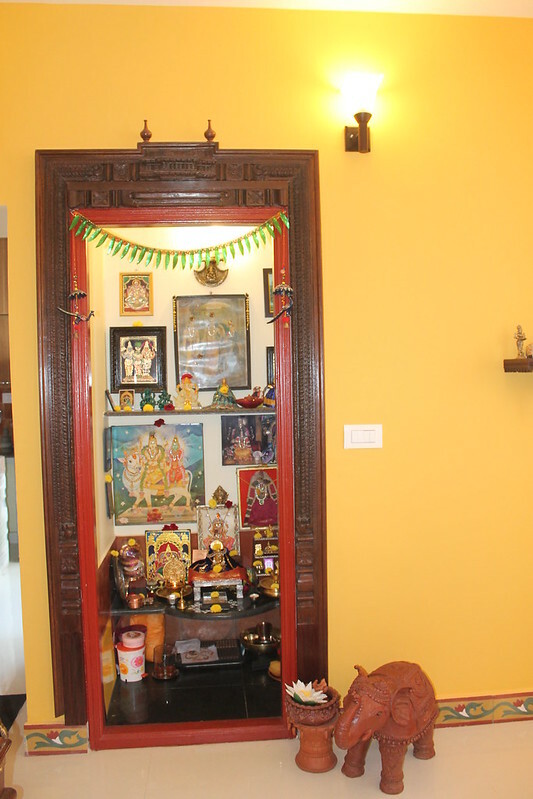 A pooja unit (pooja ghar) is a very personal preference. 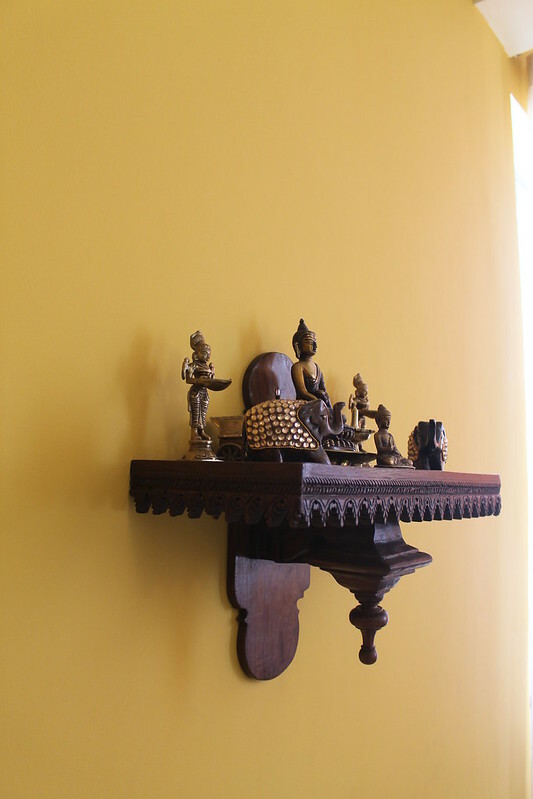 It can be as simple as a single shelf on the wall to an elaborate room filled with decorative elements. 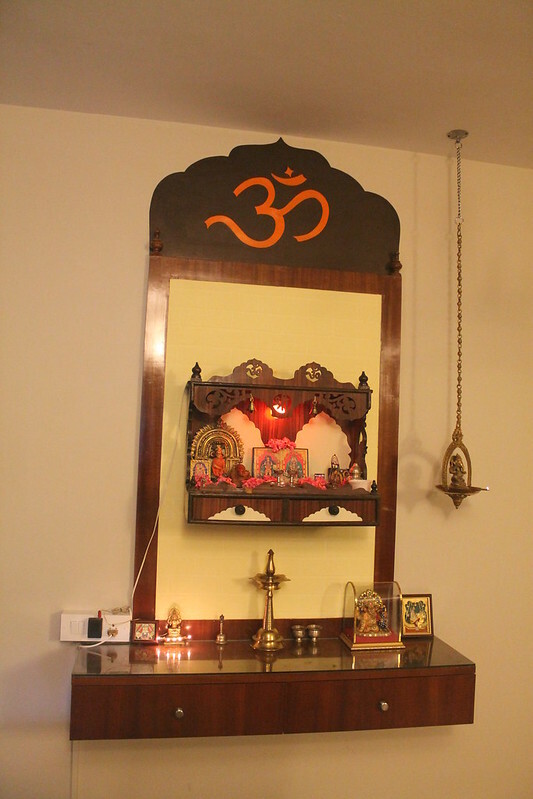 For those who prefer just an altar, a small wall mount pooja unit is easily doable. 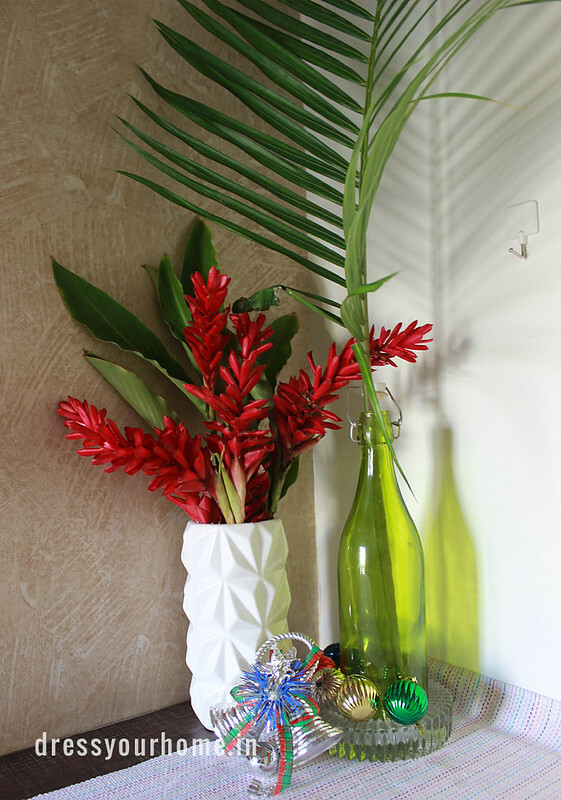 This doesn’t need too much space; any corner with a 2’ wide wall is perfect. 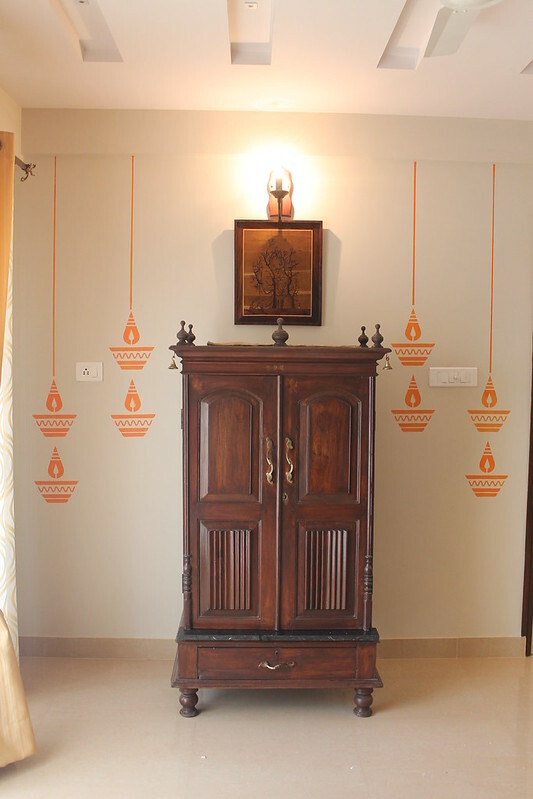 Take care to light tiny lamps in these units to prevent any accidents since it’s a tight space and height of the cabinet may be a restraint. 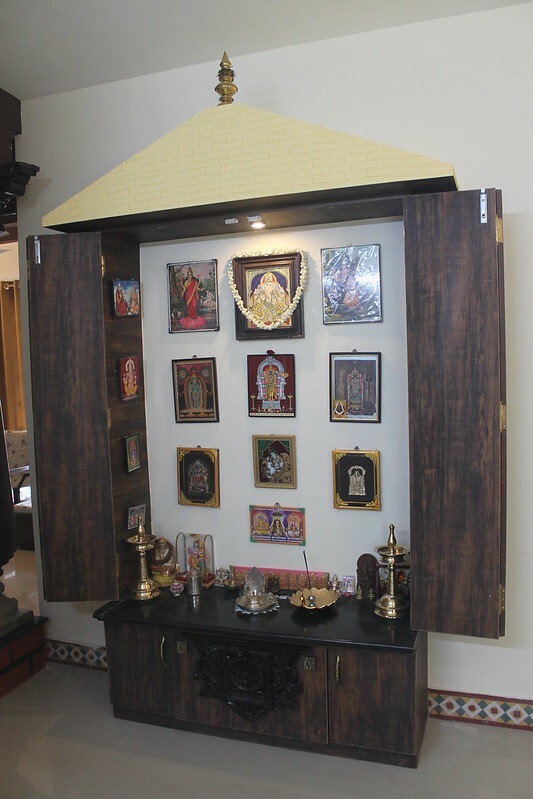 If no space is available, stand alone pooja units may be accommodated. 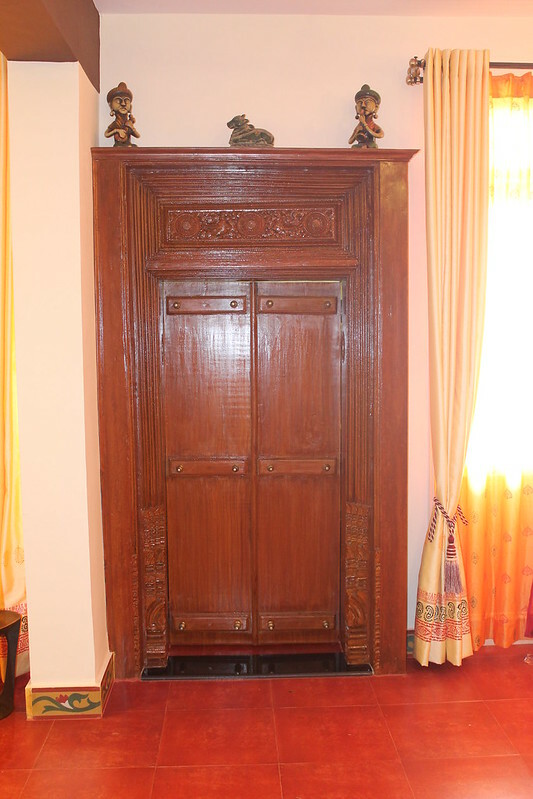 It can be an old antique cupboard that can be transformed into a pooja unit or any odd cabinet that is easily convertible. Recycling cabinets is very affordable and eco – friendly. New stand alone units are easily built. They can be made to the space available. 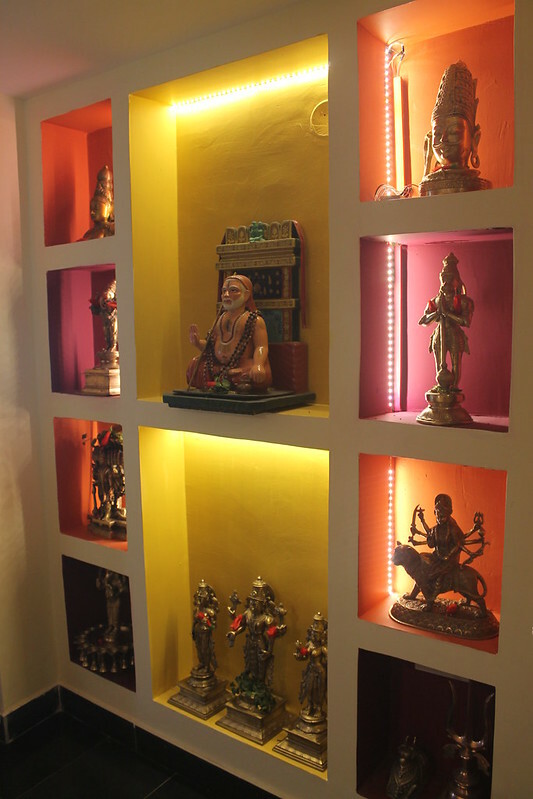 A granite shelf or glass on ply within the cabinet allows for easy cleaning when lighting lamps or agarbathis. 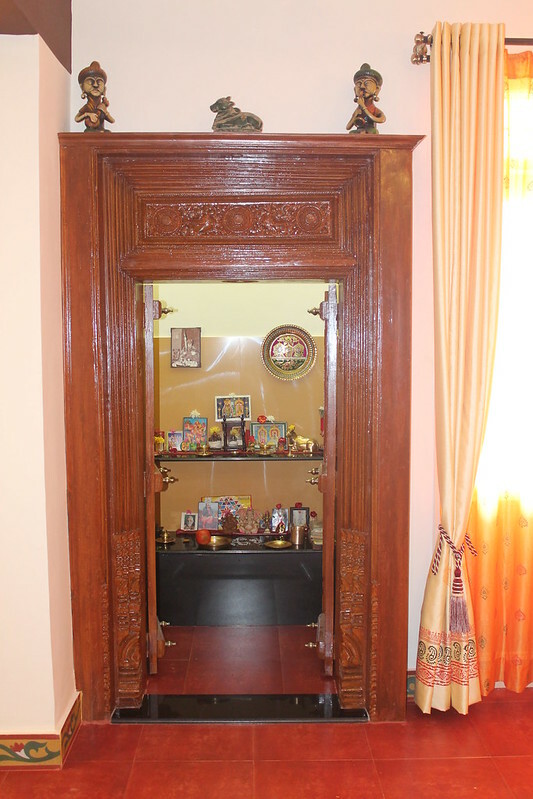 Any wall niches available can be converted into pooja units as well. 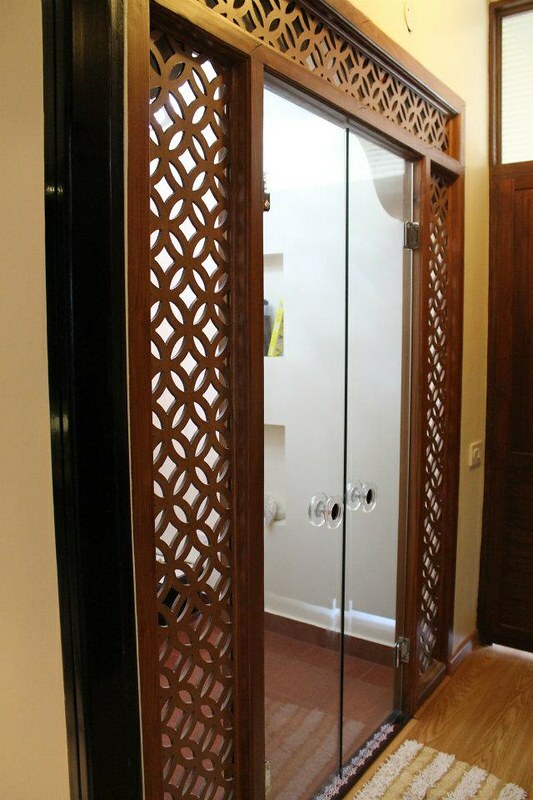 They can be aesthetically treated with a mirror back to create the illusion of more space. 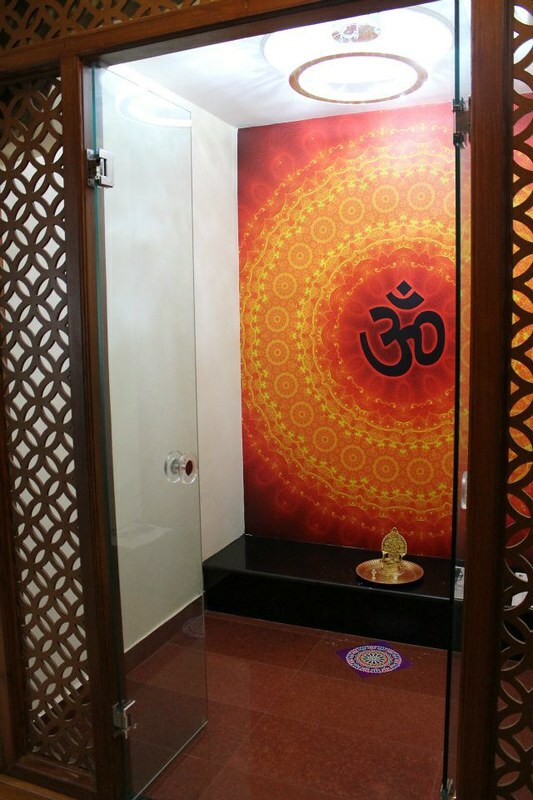 Here are some more wall-mounted compact pooja designs for your apartments. Stone is the hero of this renovated house. 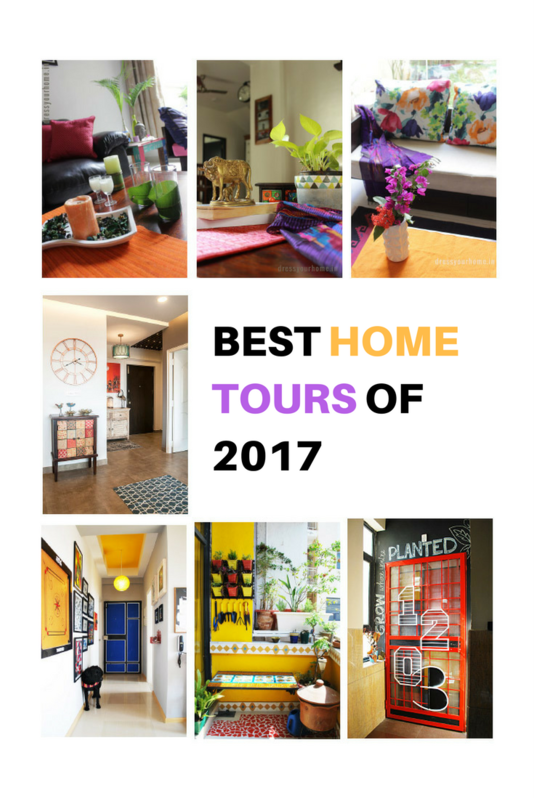 Readers’ Choice: Here are the top five homes you loved in 2017.
great design for pooja room. thanks for sharing. Where did you pick up the stand featured in #1.? 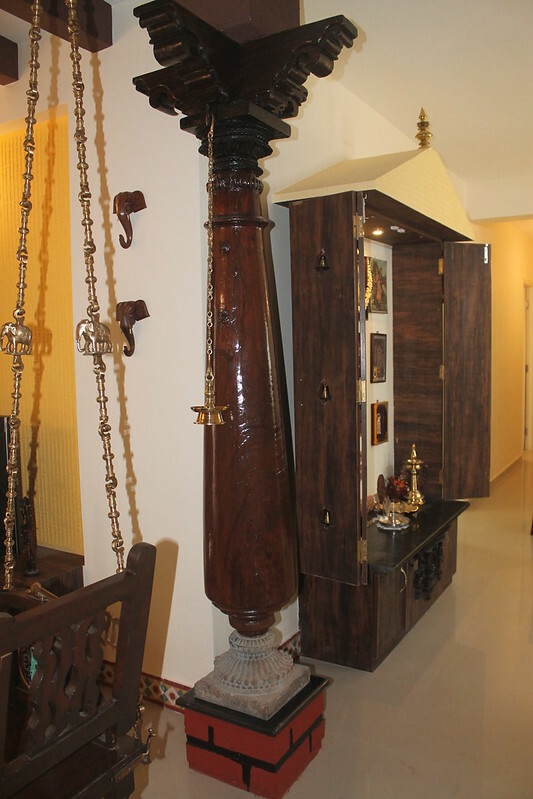 Do you have a different view into pooj room #4? it’s a custom built one. 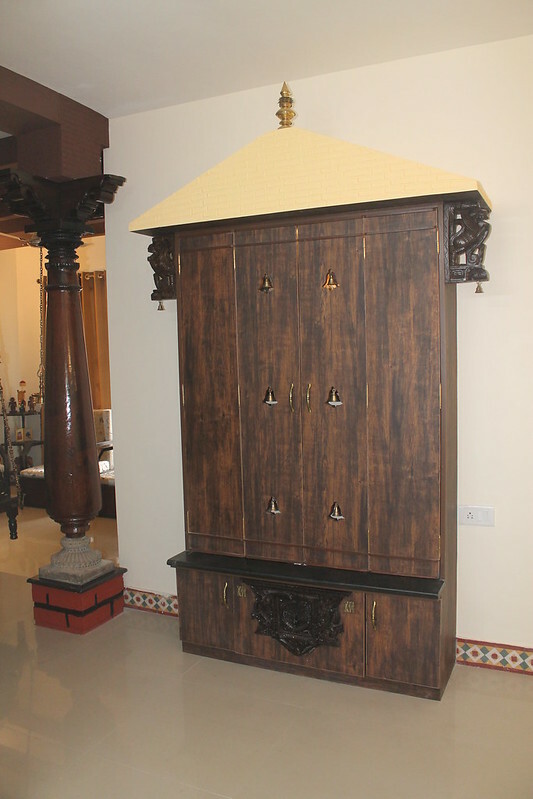 But you find similar one just with teh drawers in Urban Ladder – a wall mounted desk. Hi. The designs are beautiful. May I please ask where from did you fetch the wodden shelf in design #1. It is very elegent and beautiful. 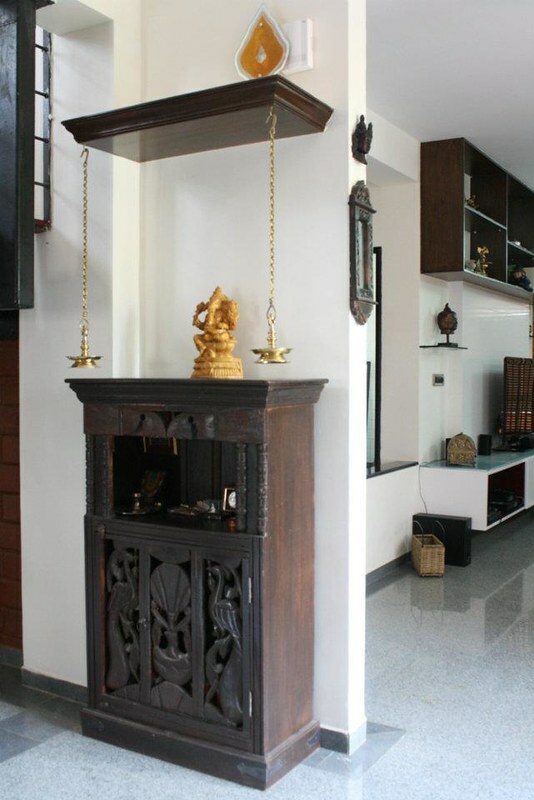 I would need a similar one for my house in Bangalore. Thank you. 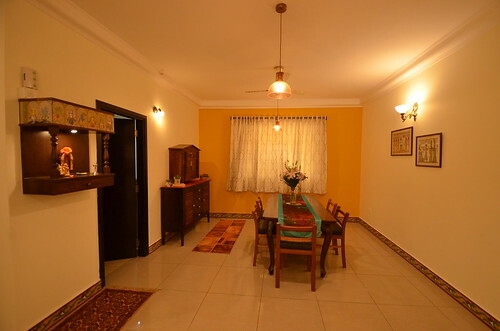 Hi Soumya, they are all custom made. You can get in touch with Jyotika.